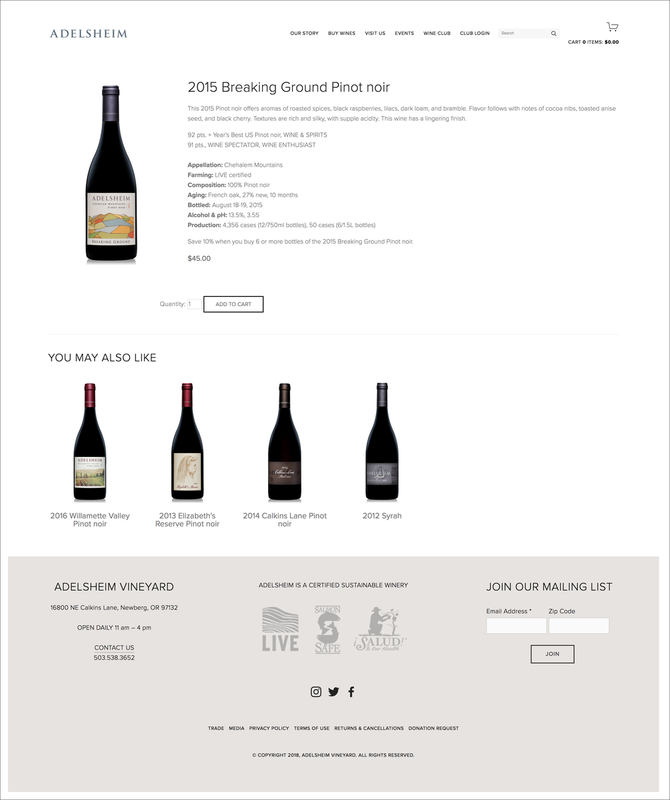 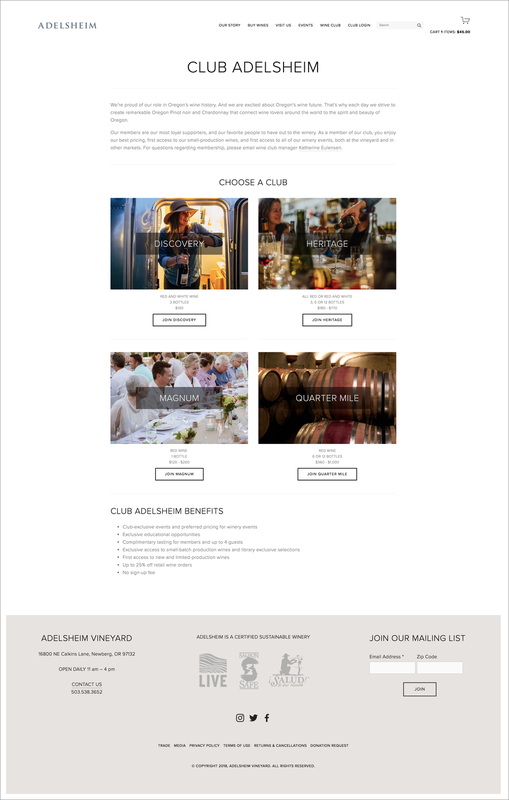 3/Thirds worked with Adelsheim Vineyard to relaunch their existing website to reflect their newly updated brand messaging and voice, align with their new e-commerce engine and provide a better user experience. 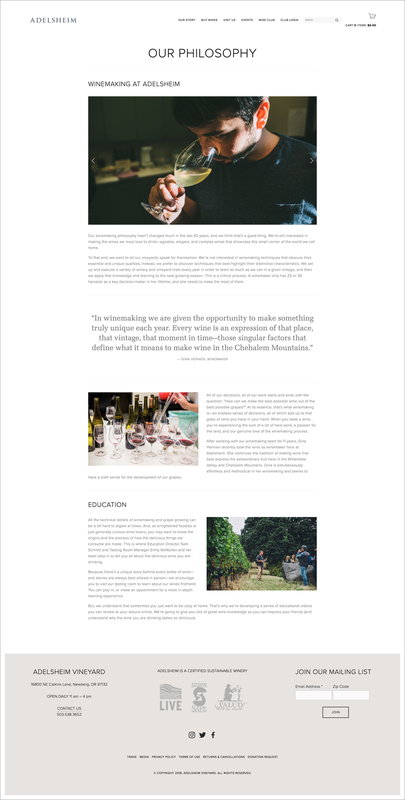 With this in mind, we transformed the traditional brochure website into a next-gen website that portrays the updated brand and story, focuses on user needs, integrates content and customer experience and accommodates marketing, product, outreach and content evolutions. 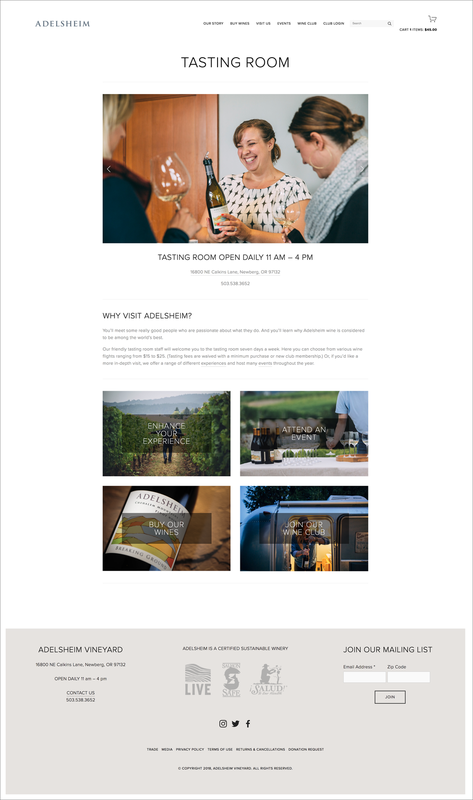 This all-new digital web platform will scale with the winery’s needs as they evolve and deepen their existing customer relationships to grow their business.